Malone knew her issue was related to chronic, systemic inflammation—a response to a trigger in one’s diet, environment, or lifestyle that causes the immune system to wage a low-level attack on harmless cells in the body. It’s a phenomenon that’s linked to tons of issues, from cardiovascular disease and cancer to acne, digestive distress, depression, and autoimmune disorders like Malone’s. Rather than rely on drugs to manage her arthritis, Malone set out to heal herself from inflammation holistically, and she outlined her most profound learnings in her book Inflamed. The author notes that food is one of the most powerful triggers of the condition, and also one of the most powerful ways to heal from it. And no, just adding anti-inflammatory foods into our diets isn’t enough—it’s about striking the right ratio of nutrients, while eliminating common trigger foods. Malone goes on to say that there’s a pretty simple formula that you should apply to your plate at every meal, and that if you follow it consistently, you’re bound to notice a marked difference in the way you feel—no matter if you’re suffering from an inflammation-related condition, or just want to maintain your current state of awesome health. Originally posted September 21, 2016. Updated May 9, 2018. 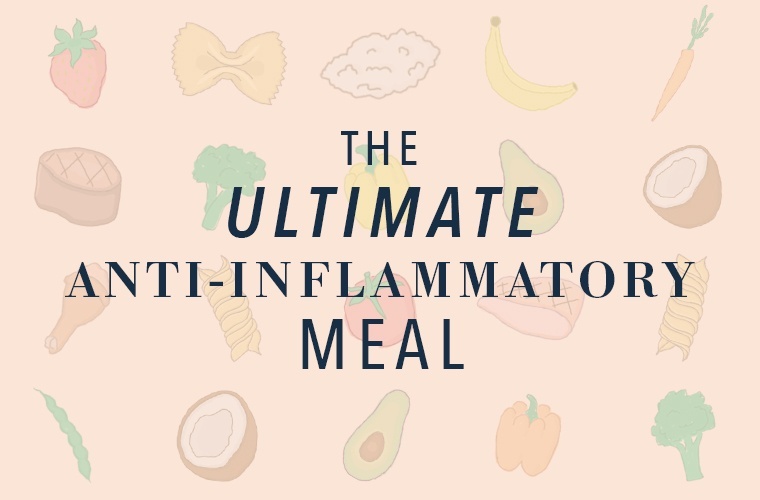 Keep reading to learn what the ideal anti-inflammatory meal looks like, and which foods Shelly Malone thinks you should keep off your plate. “If you eyeball your plate, half of it should be vegetables and fruits,” says Malone. She says that’s because, not only is there no such thing as an inflammatory vegetable (unless you’ve found nightshades to be irritating, or you have a serious gastro-intestinal disorder, in which case consult your doctor), but these foods are filled with necessary vitamins, minerals, and antioxidants that actually reduce inflammation in the body. “Without specifically measuring portions, we should think of protein as a side dish, rather than the main course,” says Malone. 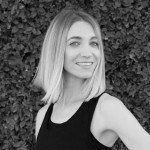 She’s quick to point out that she’s a huge fan of animal proteins—they’re powerhouses of healthy, anti-inflammatory fats and healing amino acids—as long as they’re unprocessed, organically raised, and grass-fed. Malone says pretty much everyone can benefit from cutting out gluten—it’s a large, hard-to-digest protein that contributes to leaky gut, whereby the junctions between intestinal cells are loosened, allowing bacteria and toxins to escape into the bloodstream and cause inflammation. She adds that even high-quality, gluten-free grains should be eaten in moderation—again, think of them as a side dish rather than a main course. “[In inappropriate amounts] carbohydrates cause your glucose to spike, your insulin to respond, and that causes inflammation,” she says. Opt for quinoa, amaranth, sorghum, rice, or millet, and look to get the bulk of your carbs from vegetables, fruits, and legumes. “Don’t be afraid of fat!” stresses Malone, who says it’s essential for brain health and vitamin absorption. (And it’s been found to help you live longer, too.) “The percentage can be as much as 50 percent of your diet, as long as it’s the right kind of fat.” Of course, most people can’t stomach that much of it, so the author suggests consuming at least some healthy fats with every meal in a way that works for you—like having avocado with eggs, or adding coconut oil to your breakfast smoothie. First, be sure to eliminate processed, omega-6-heavy vegetable oils—canola, corn, soy, and peanut—as well as margarines and animal fats from corn-fed animals. (Don’t go too crazy on the avocado, seeds, nuts, or olive oil either—although they’re definitely good fats, they’re part of the omega-6 fam.) Then, balance out the ratio by adding in inflammation-busting omega-3’s through things like fish, cod liver or algae oil, chia seeds, and flax seeds. Along with gluten, corn, and soy, dairy and sugar are the final foods that Malone recommends cutting out to curb inflammation. That’s because dairy contains a protein called casein that, she says, is hard to digest in a similar way to gluten—and as for sugar, you probably don’t need a reminder why it’s bad. Again, even if you don’t think you’re sensitive to any of the “Big Four” triggers, Malone says you might be surprised about how you feel when you give them up. “I don’t think people even realize how crappy they feel,” she says. “There are so many things that we accept as being a normal part of life—like anxiety, skin issues, or constantly feeling tired—and we get used to them. But when you do take these things out, you’re surprised by how good you feel.” In Malone’s case, it caused her pain to disappear within weeks—totally worth ditching the pizza and soy lattes for, right? Eliminating inflammatory foods doesn’t have to be a drag—it can even be delicious. Here’s how to swap fruits and veggies for your bread and pasta, make a delish dairy-free chocolate “ice cream,” and whip up a vegan falafel pizza (! ).